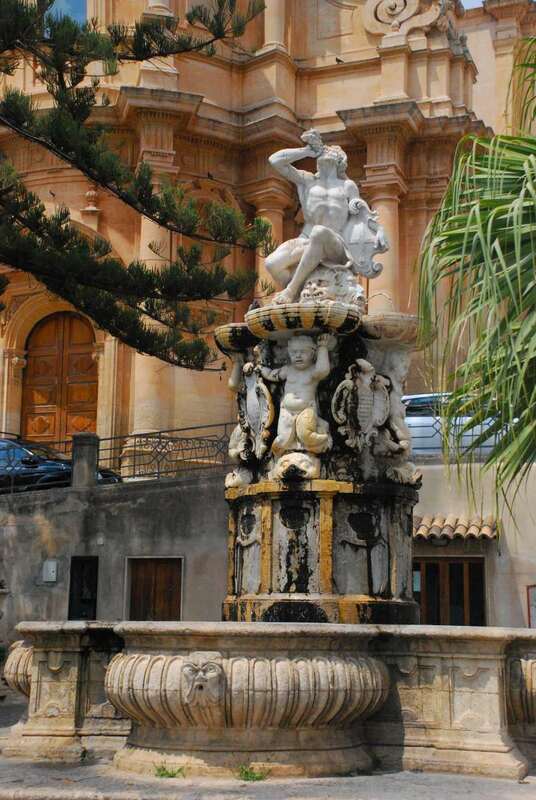 A UNESCO Heritage site, Noto is a destination not to be missed in your Sicily tour. 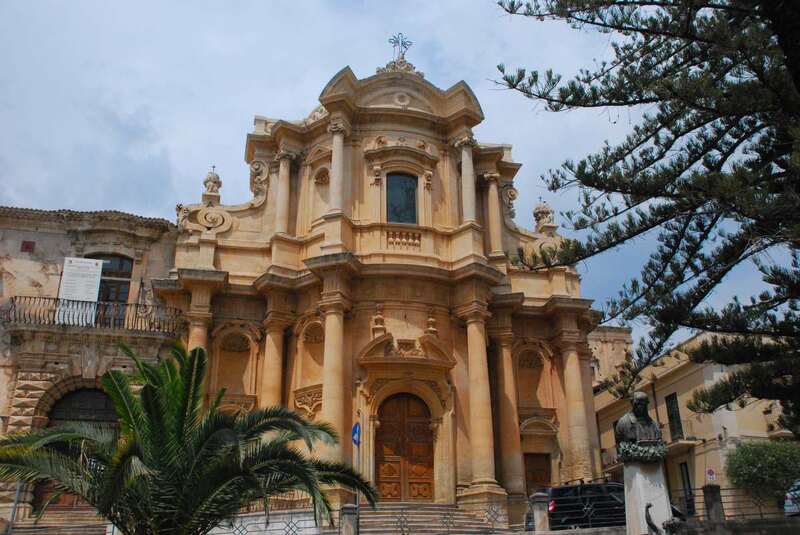 The original town (“Noto Antica”) was completely destroyed by the terrible 1693 earthquake (you can still visit its fascinating ruins, a few Kilometers away from the “modern” Noto). 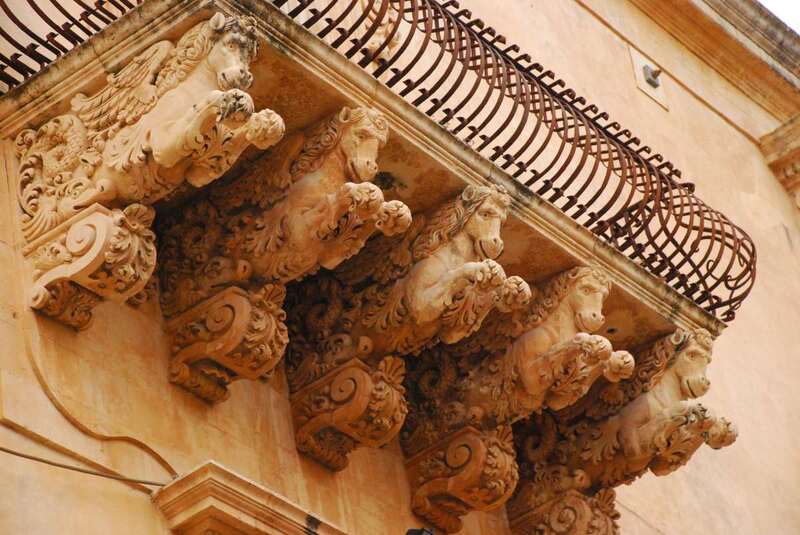 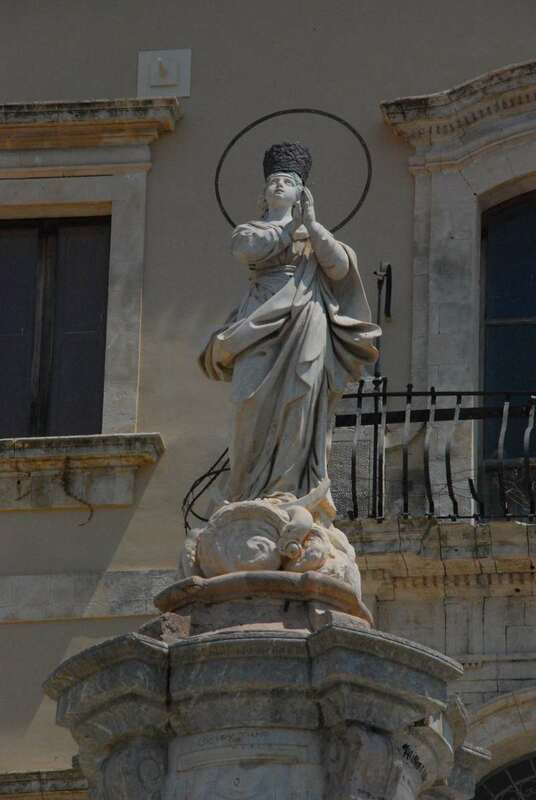 Noto was then rebuilt from scratch, in the sublime elegance, originality and fantasy of the Sicilian Baroque style. 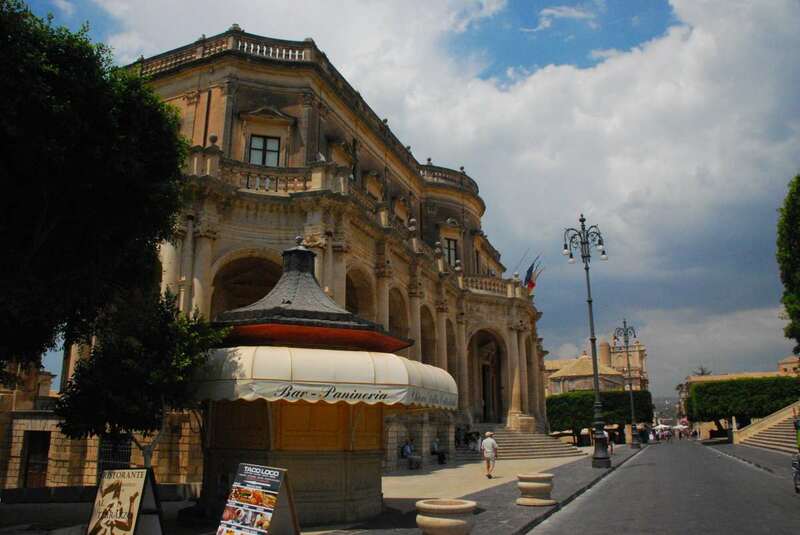 Noto Sicily is very easy to visit. 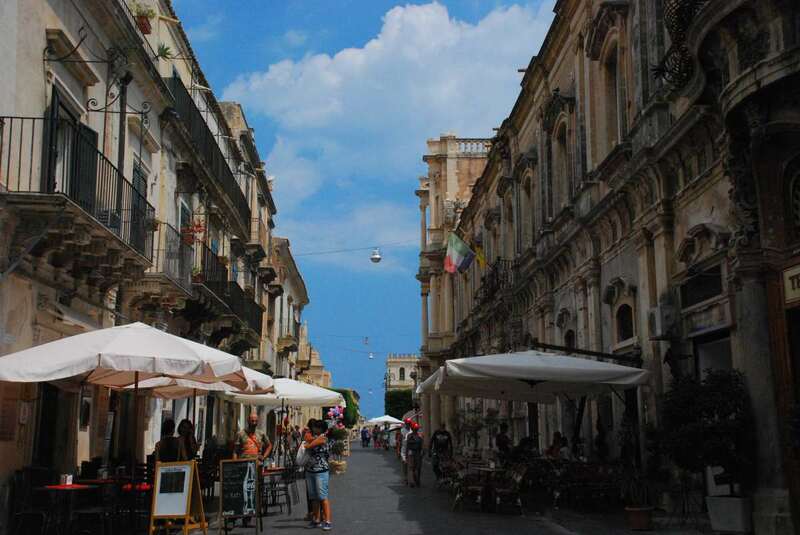 Simply wander the length of the Corso Vittorio Emanuele, along which many of Noto’s most representative buildings stand. 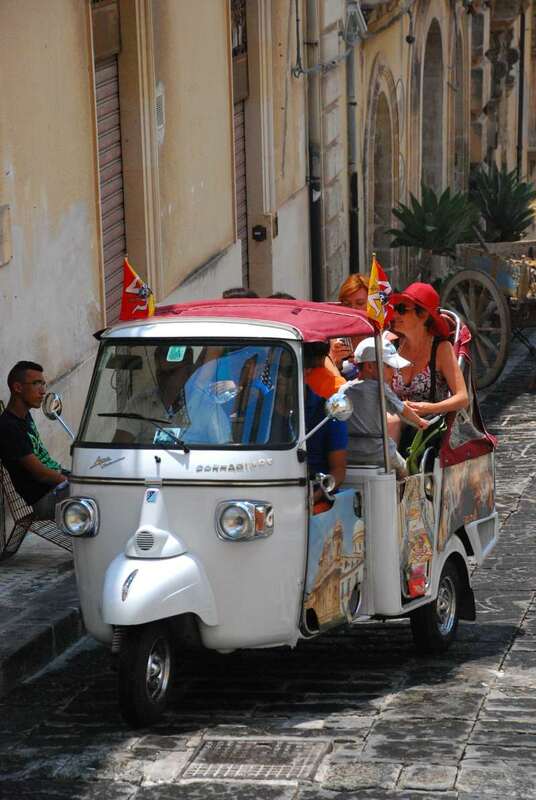 And if you feel lazy in a hot Sicilian summer day, have a tourist ride in a delightful APE (typical Italian motorized tricycle). 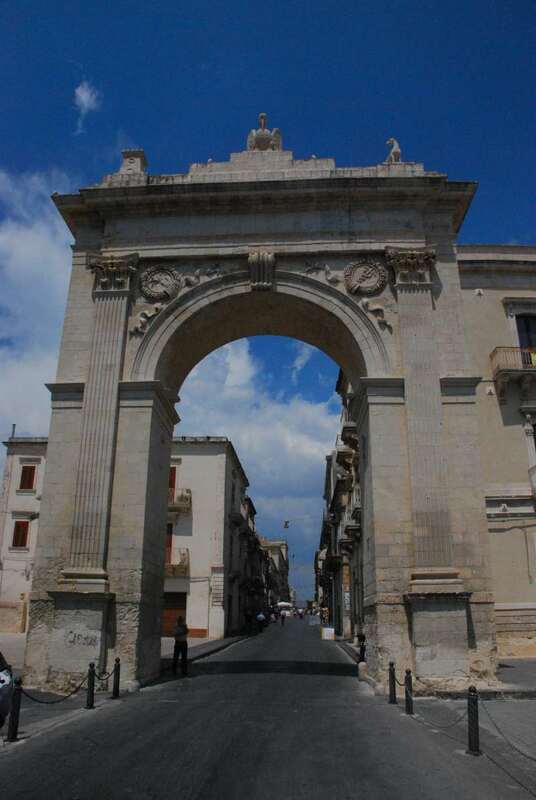 Porta reale (“Royal Gate”) is the main entrance to Noto historical town, and the first sight you will find after parking your car. 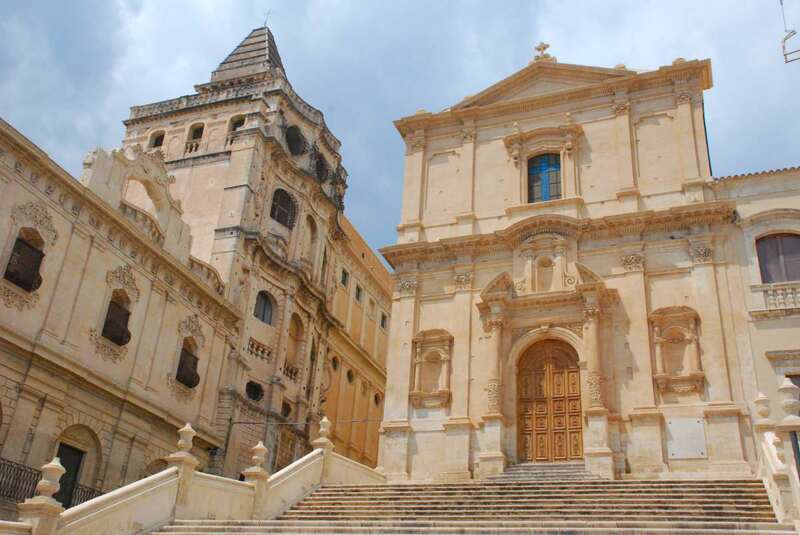 Noto’s cathedral rises impressively above Corso Vittorio Emmanuele and is approached by a wide and graceful flight of steps. 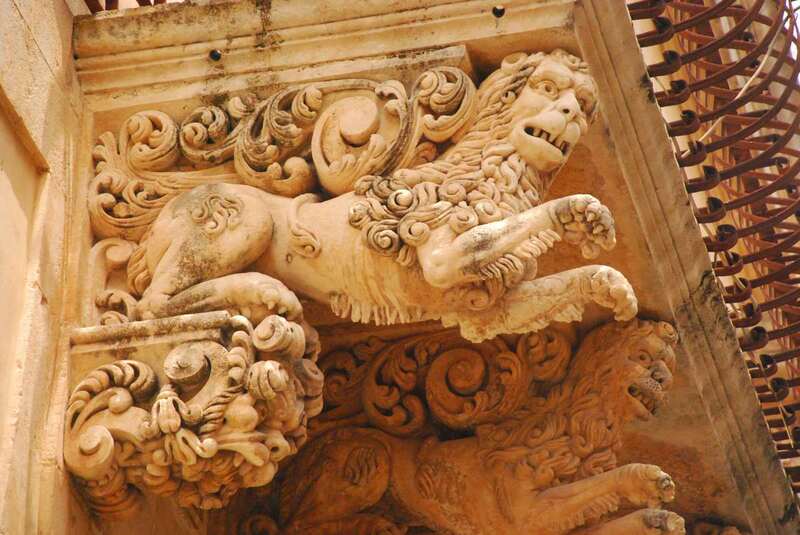 Its dome collapsed in 1996 due to another earthquake, but has now been perfectly restored. 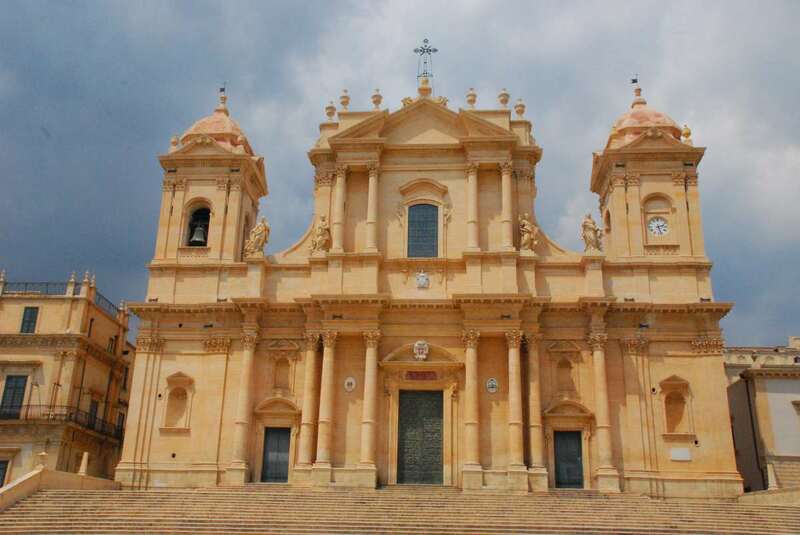 The monument is made of the same limestone which makes all monuments in Noto, and that over time gradually becomes golden-colored, especially at sunset. 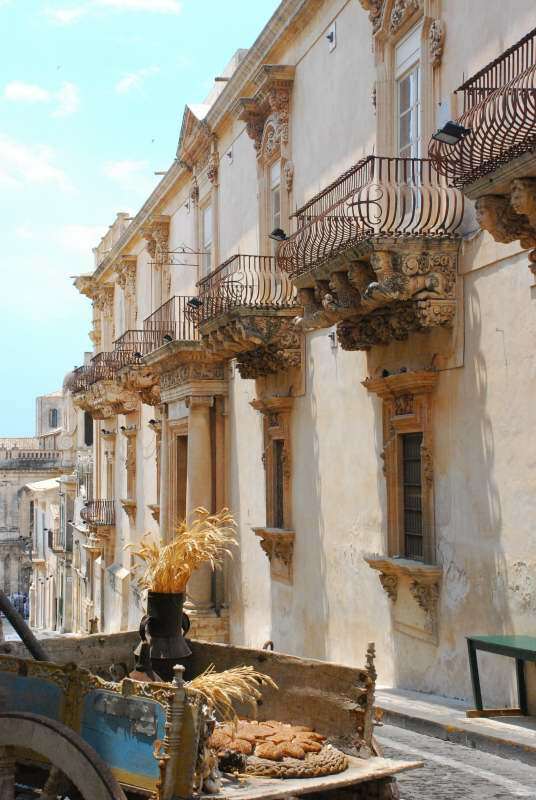 Opposite the cathedral is Palazzo Ducezio, the town hall. 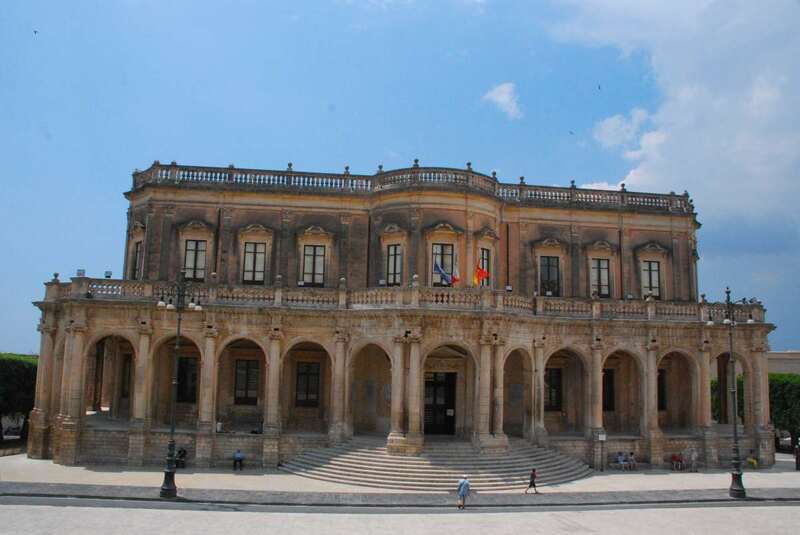 To the left of the cathedral you can admire the Landolina di Sant’Alfano palace. 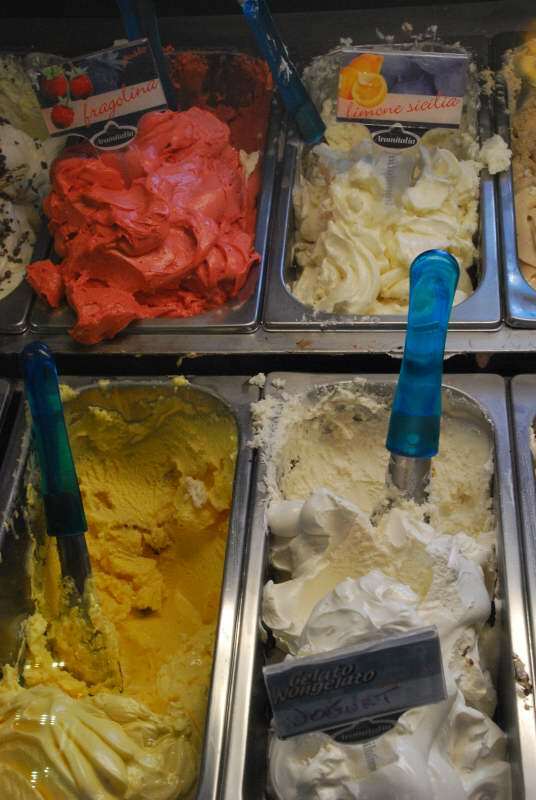 Just in front of the cathedral, in Piazza Municipio, don’t miss a delicious ice cream (“Gelato”) at Caffé Amarcord. 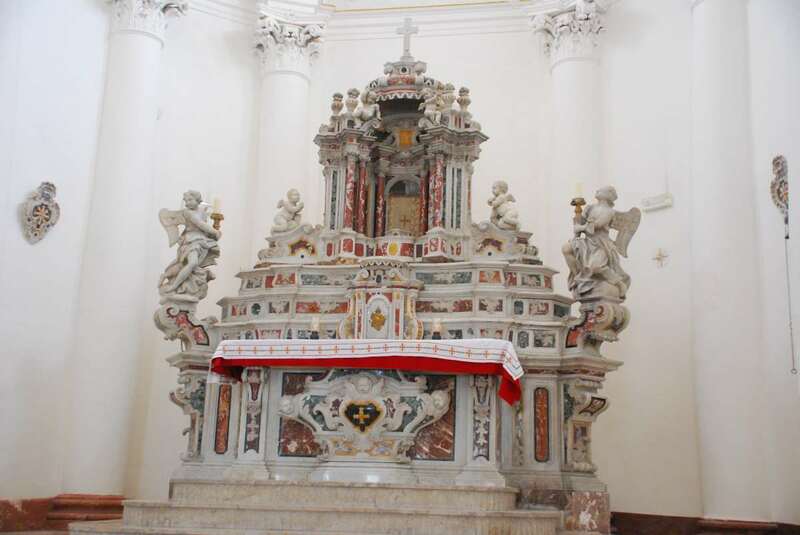 After visiting the cathedral, keep on diving down side streets here and there, while heading to Via Nicolaci, at the top of which is the beautiful elliptical façade of the Chiesa di Montevirgine. 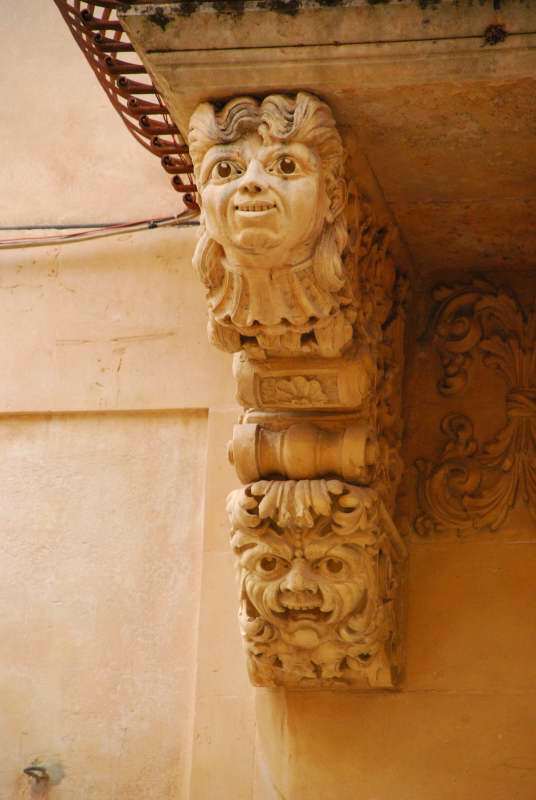 Along one side of Via Nicolaci stands the Palazzo Villadorata, whose many playfully buttressed balconies – horses, griffons, nymphs, cherubs, fierce bald men – jut from a severely Classical façade. 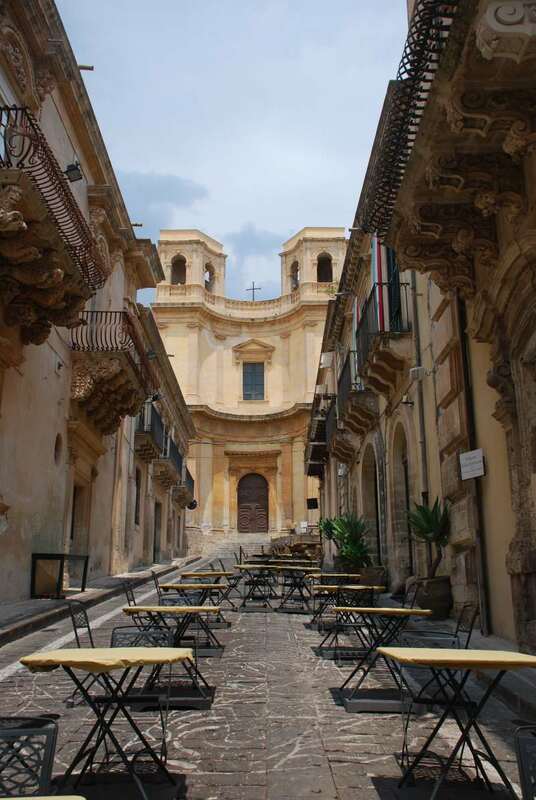 In via Nicolaci you will also find the delicious Cantina di Noto. 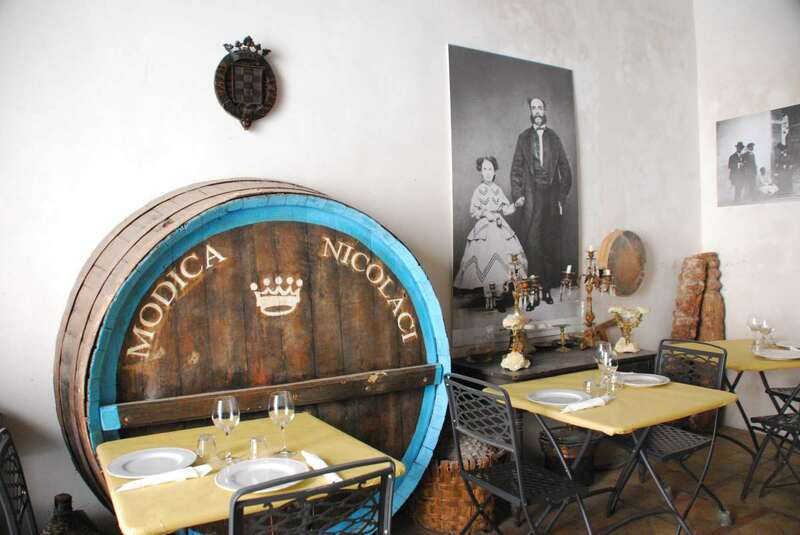 It’s a wine bar (they sell the wines of their own wine yards) and a fabulous place to for a lunch snack or a dinner. 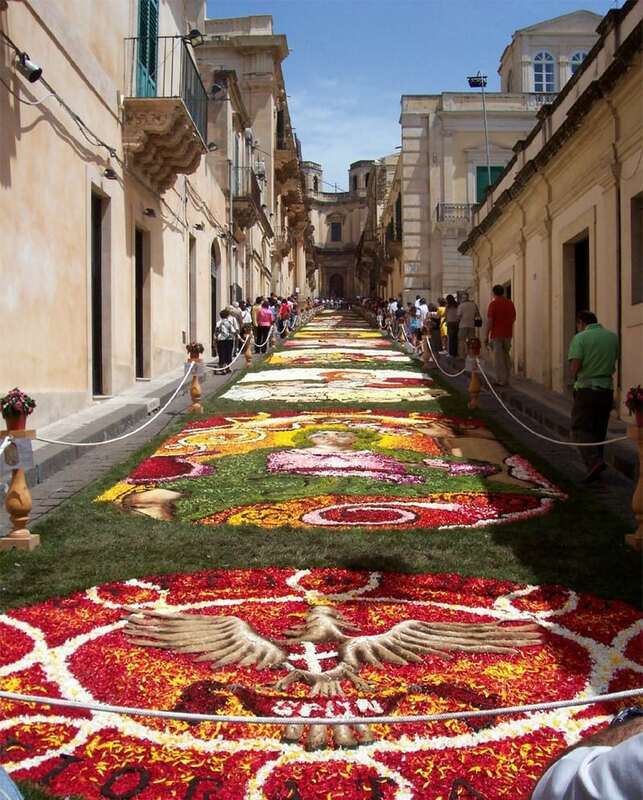 At the end of May, Noto celebrates the marvels of Spring and the coming summer with a colourful “Festa” known as the “Infiorata”. 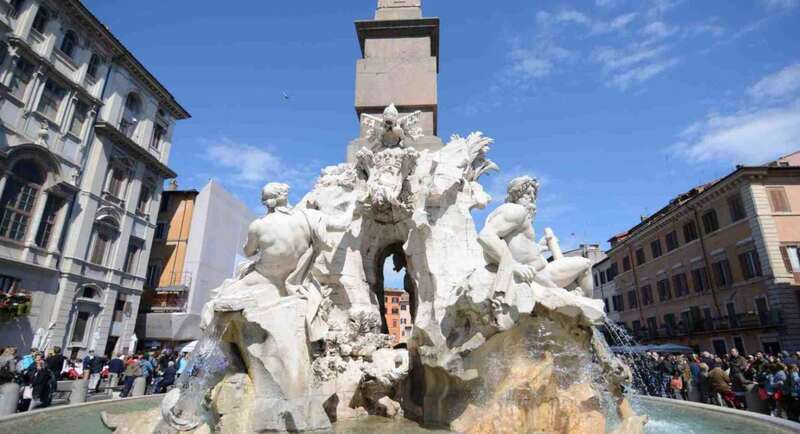 The street of Corrado Nicolaci becomes home to flower artists who create the most beautiful mosaics using petals. 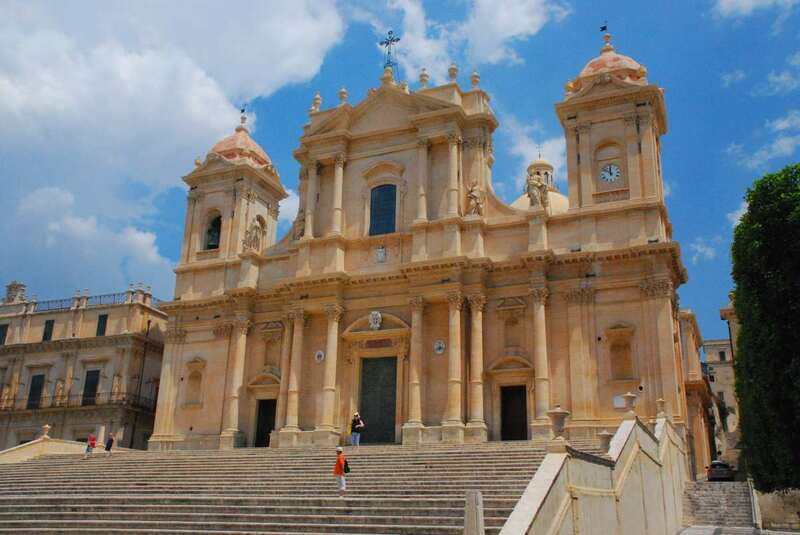 Enjoy your visit to Noto!